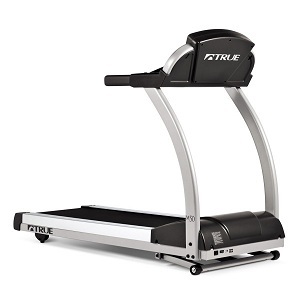 The True 450 HRC Classic treadmill is the cheapest U.S. built True treadmill you can buy in the market today. However, with the recent $200 price increase, most people can no longer afford owning this unit. If you’re looking for a heart rate controlled treadmill with great cushioning and excellent feel, then this is one of your better choices. True treadmills, including this one, boast a one of a kind belt and deck combination, which is simply the best in the market. This model boasts heart rate controlled (HRC) workouts. It has 2 custom time-based heart rate files so you can create and save multiple workouts for easier usage next time around. Other heart rate features include a Cruise Control program which allows you to jump from any preset or manual workouts into an HRC workout, and Express Command Keys for simple access to any custom workout programs. The True 450 HRC Classic treadmill offers a 3.0HP continuous duty motor that has a speed range of 0-10mph and an incline range of 0-15%. These numbers are pretty good compared to other treadmill models in this price range. The 18” x 52” running space is a little small for its price tag. So if you plan on buying this unit, be sure to run on it first to make sure you’ll be comfortable on it. However, the magnificent belt and deck combination made up for this machine’s lack of running surface. With its quiet and smooth operation, this belt and deck combination would certainly provide you one of the best treadmill experience you’ll ever have. 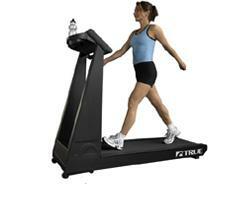 Reliability of True treadmills, including this one, is a cause for concern. True Fitness makes treadmills with excellent belt and deck then cut back on their components and features as much as they can. As a result, you’ll get an overpriced average treadmill that looks and feels like a first-rate unit, but only for a few years. With its expected reliability problems, I can’t recommend the True 450 HRC Classic treadmill. Besides, this machine is overpriced. If you really want a treadmill in this price range, I suggest you visit our best buy treadmills page. There, you’ll find better alternatives to this model. Warranty: lifetime on frames, 5 years for motor and all other parts and 1 year for labor. If even after this review you still want a True 450 HRC Classic Treadmill, I suggest you locate a dealer near you through Amazon. It is currently being sold for $2,695.